Right now I’m sitting on my sofa surrounded by Christmas magazines and craft books. I love Christmas and am happy planning handmade gifts, home made crackers and personalised Christmas cards. This year we all have our Christmas jumpers ready and we’re even planning a little festive shoot this weekend to try out some ideas for our own cards and gift tags. Despite the rise of email and text messaging I *have* to send out Christmas cards. I try to get ours printed on recycled, sustainable paper and often find myself recycling the Christmas cards we receive. 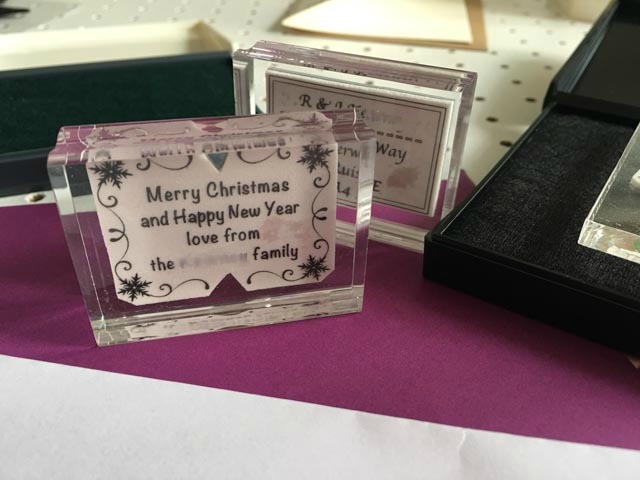 The only thing I’m not so keen on is writing our name and address on everything but this year I have a little extra help with some wonderful stamps from Stamptastic. Earlier this year I told you about their handy names stamps which you can use to label school clothes. They’re marvellous so I knew I would love their Christmas stamps too. We were sent a selection of stamps to try. 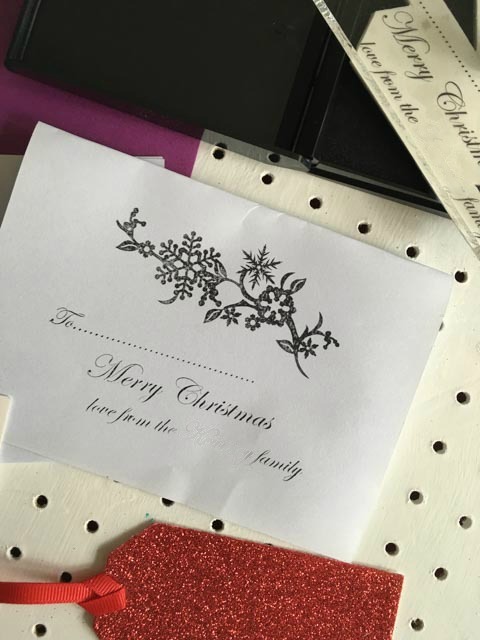 My favourite is the large Christmas stamp and ink pad which features a pretty design with the message Merry Christmas. It can be personalised with your name, just email the details to Stamptastic when you’ve submitted your order. The stamp will be so useful when I’m writing Christmas cards and they’re great for people who like to make their own cards. We’ve also been trying out the Merry Christmas stamp and ink pad. This is a good size to stamp on gift labels or the back on an envelope and can be personalised with your name. You can order stamp pads in festive colours including red and green too! We received a handy personalised address stamp too which will be a time saver over Christmas and beyond. 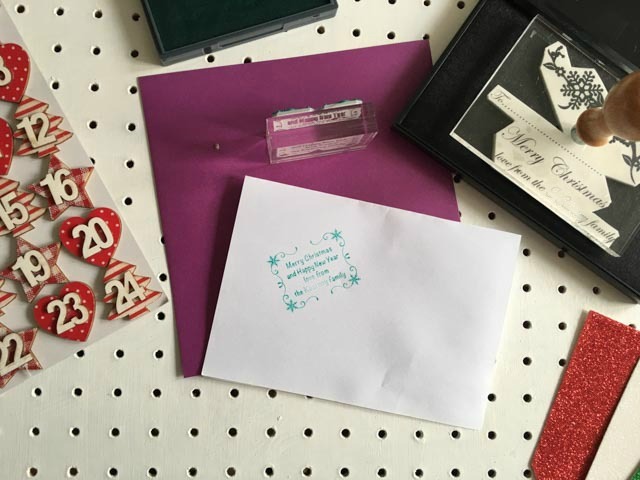 All the products we reviewed are available to order online from the Stamptastic website. 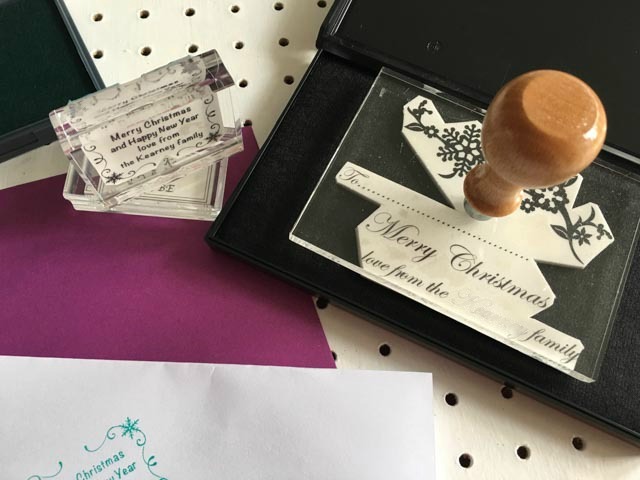 Prices are as follows: Large Christmas Stamp (£30), Merry Christmas stamp (£15), Address stamp (£15), Large ink pad (£8) and Small colour ink pad (£3.50).